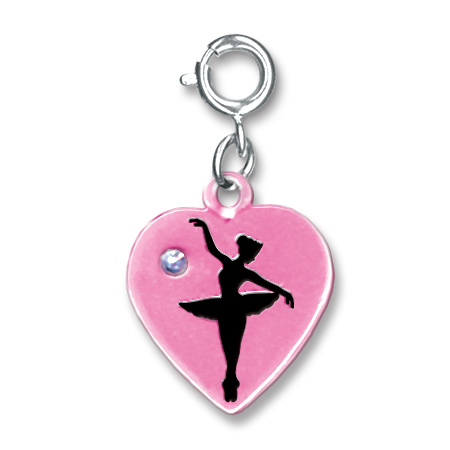 Little dancers everywhere will love this prima ballerina's pose on a pink heart background. Elegant and stylish, this beautiful CHARM IT! Ballerina Heart charm displays the graceful silhouette of a poised ballerina complete with a beautiful sparkly acrylic stone. With a simple snap of a clasp, girls can personalize their CHARM IT! jewelry with this CHARM IT! 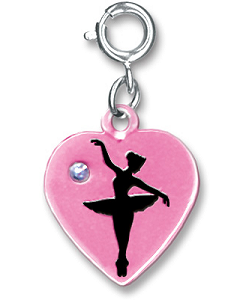 Ballerina Heart charm. This beautiful Ballet Slippers fabric wall art is a wonderful addition to any dance, ballet, or sporting theme. This Ballerina Sudden Shadows giant wall decal features a graceful ballerina executing a beautiful pirouette.